Our mission in education began when we reached out to children orphaned by the diseases that brought us to Texas. Like our students, our work grew rapidly—first educating orphans and then opening schools in Texas and soon after in Mexico, Louisiana, and Missouri. Many of these schools still thrive. We continue to educate in nontraditional ways by empowering people to deal with the challenges of life today, especially women and children. 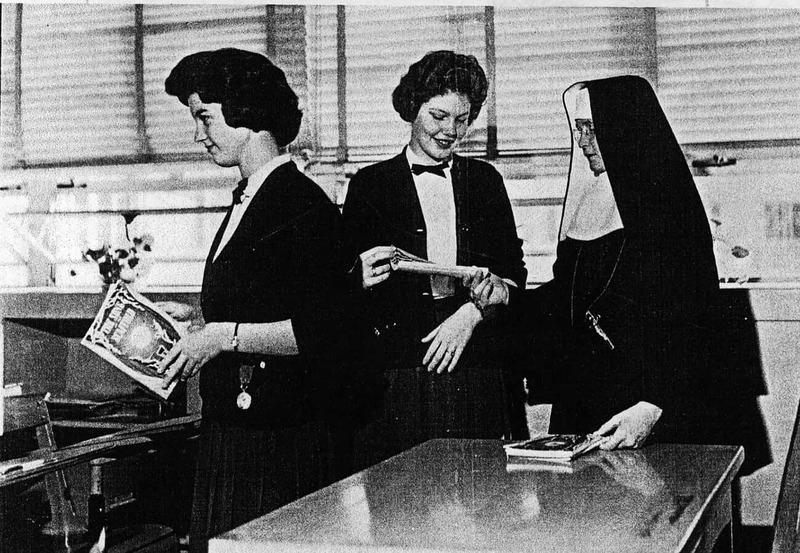 In 1875, Incarnate Word Sisters began teaching in public and private schools. 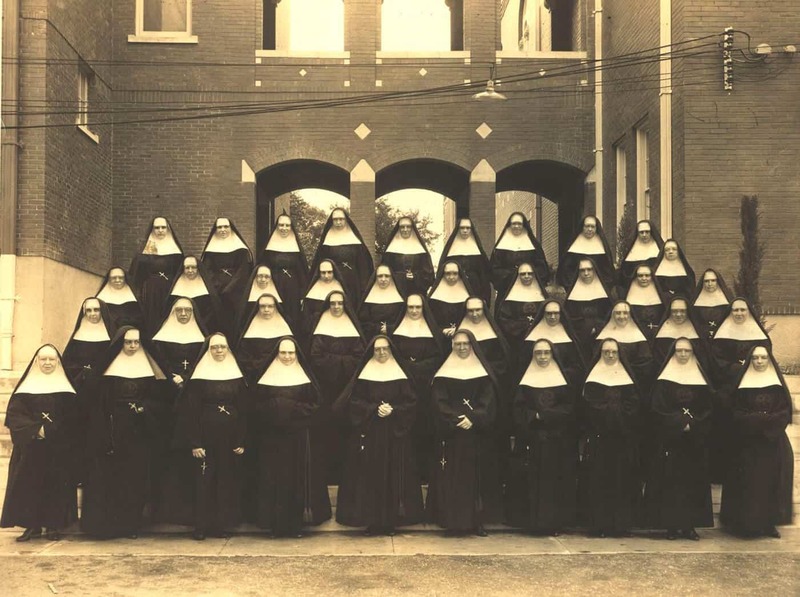 By the early 1920s, Incarnate Word Sisters were teaching in more than 30 public and parochial (parish) schools in Texas, Missouri, and Oklahoma. In 1892, the Sisters established Incarnate Word School in a rented house on Avenue D in downtown San Antonio. In 1900, when the Sisters built their Motherhouse on newly acquired property in Alamo Heights, the school moved into the new building. 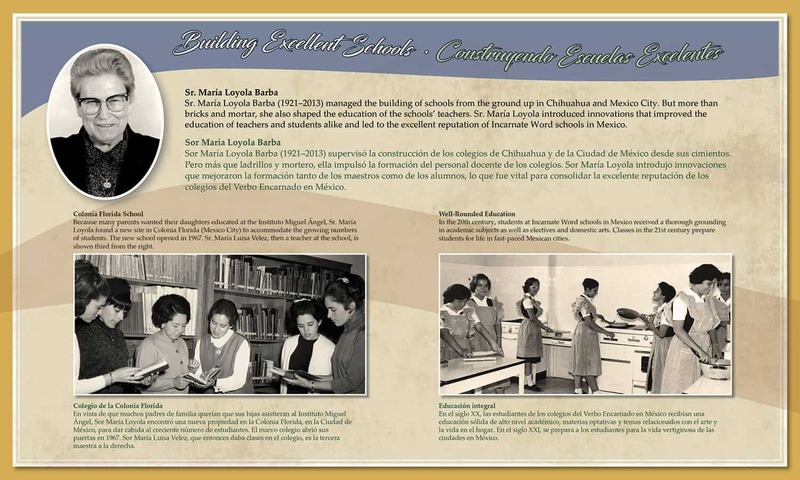 In the early 1900s, Incarnate Word Sisters opened three new schools opened in Mexico: Colegio Guadalupano, Chihuahua; Colegio del Verbo Encarnado, Tampico; and Colegio del Verbo Encarnado, Oaxaca. 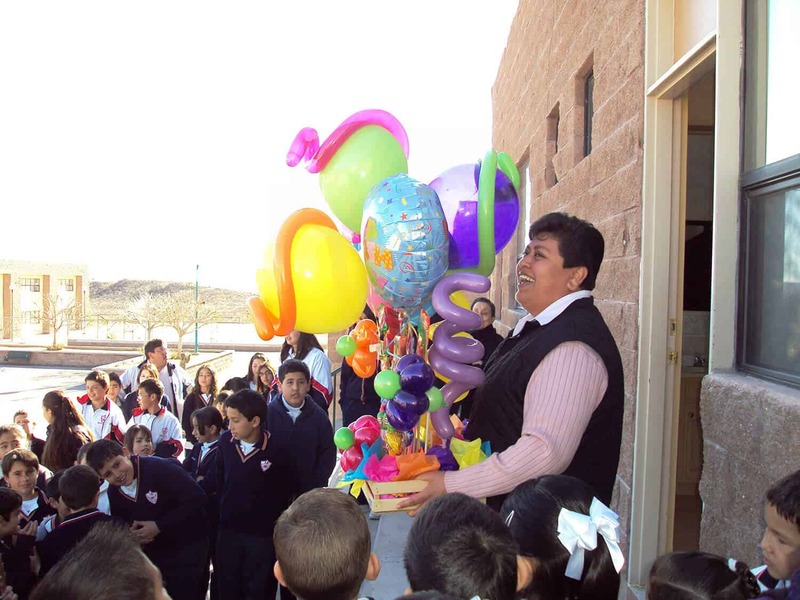 In 2012, the school in Chihuahua (Instituto América) celebrated its 110th anniversary of service to the city and surrounding rural area. Pictured is Sr. María de la Luz Cardona. 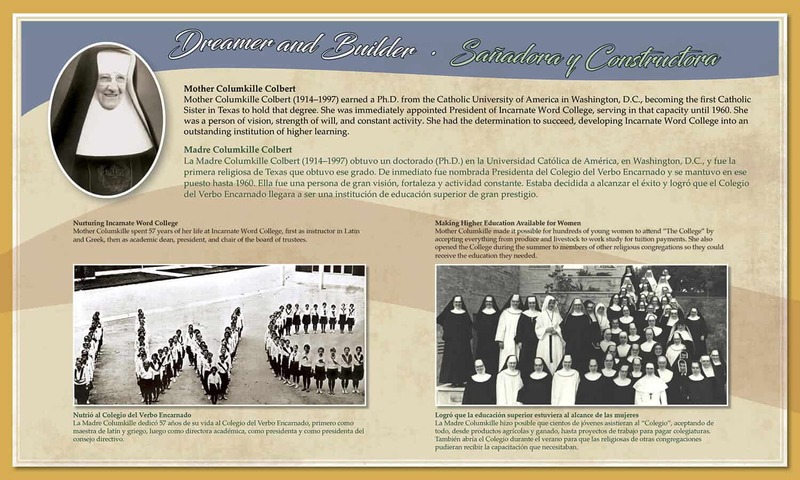 In 1905, four Sisters were sent by the Reverend Mother Madeleine Chollet to establish Incarnate Word English Academy in Mexico City, as a private secondary school for girls. Pictured are students and Sisters in 1917, just as persecution of the Church was beginning in Mexico. 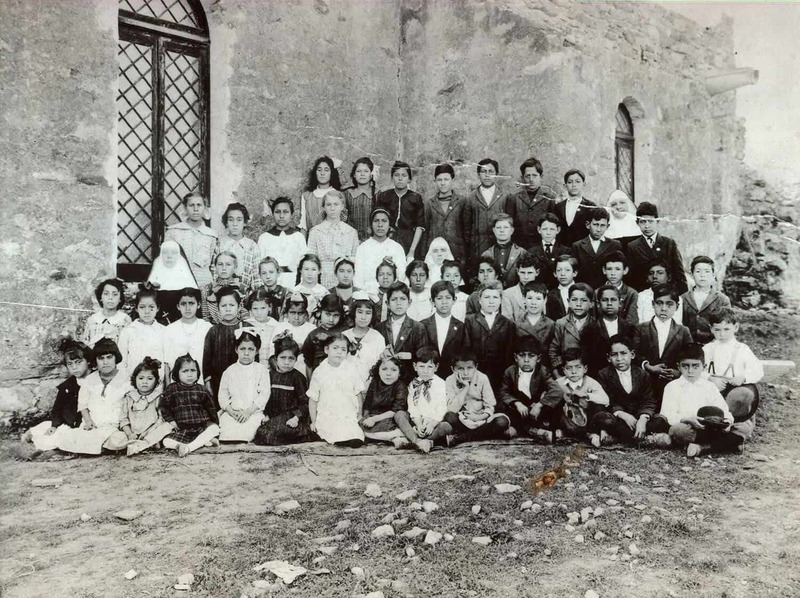 The Sisters and schools survived the persecutions, determined to educate young children. 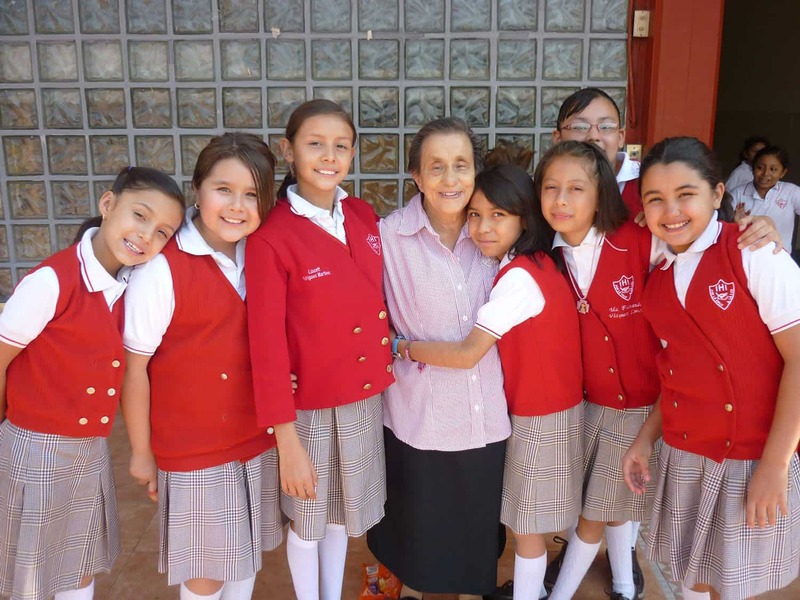 Pictured are students of the Instituto Hispano Inglés, with Sr. Sandra Mayela Morales. 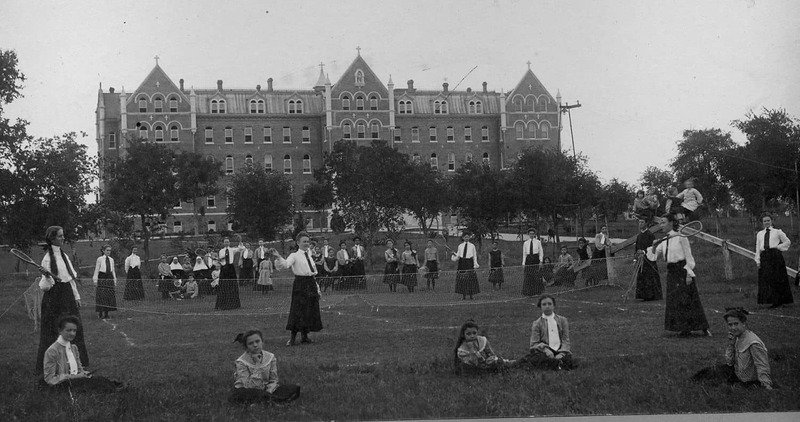 In 1909, Mother Mary John O’Shaughnessy proposed that Incarnate Word Academy be expanded to the college level, as women were not accepted at the colleges and universities conducted by men for men. 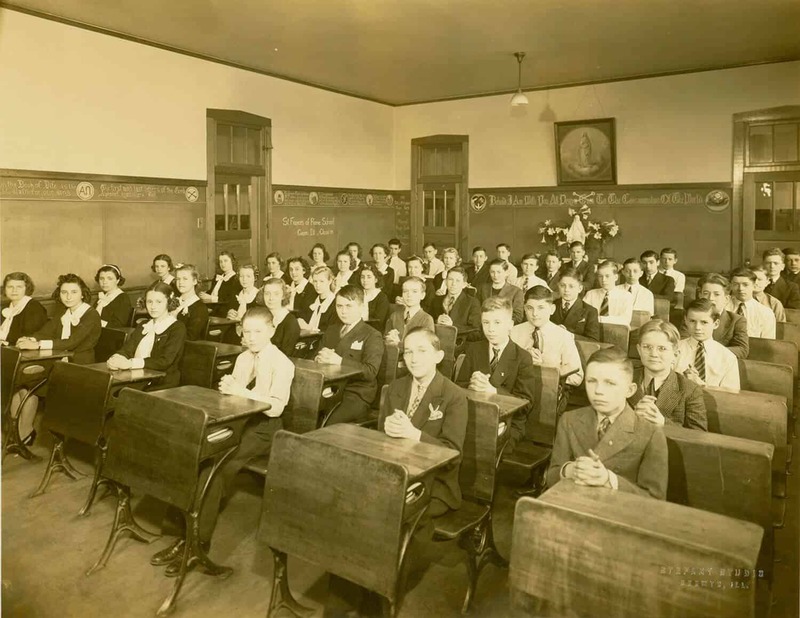 College classes began in 1910. 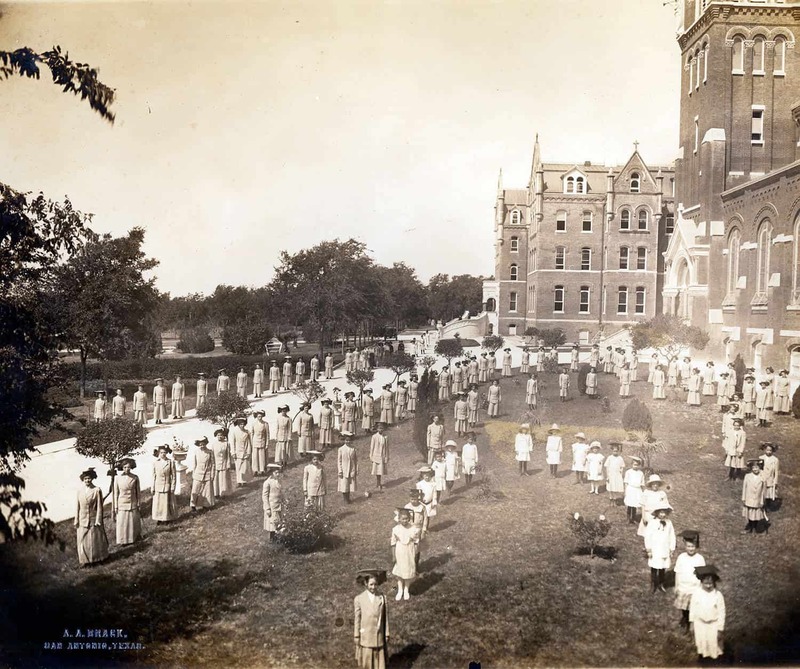 Photograph taken on the lawn in front of the Motherhouse / Academy. 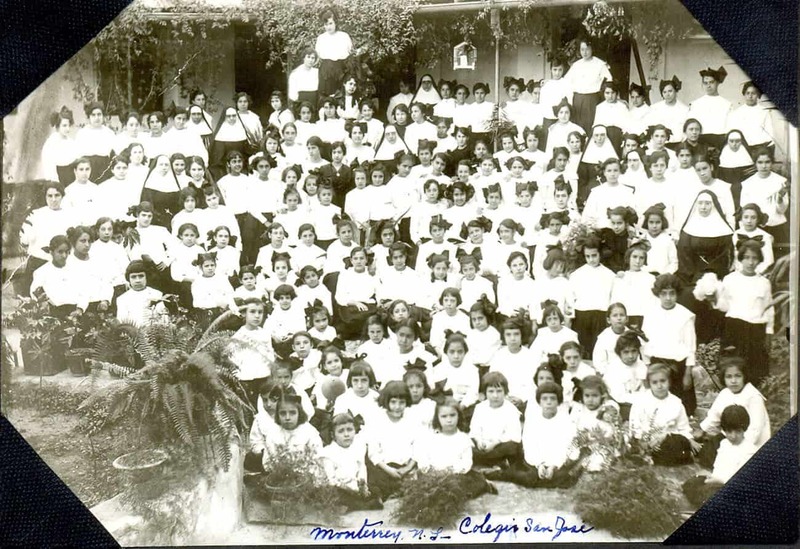 In the early 20th century, the Mexican government closed many of the Congregation’s schools in Mexico and confiscated their property. The sisters taught in private homes or sought refuge in San Antonio. 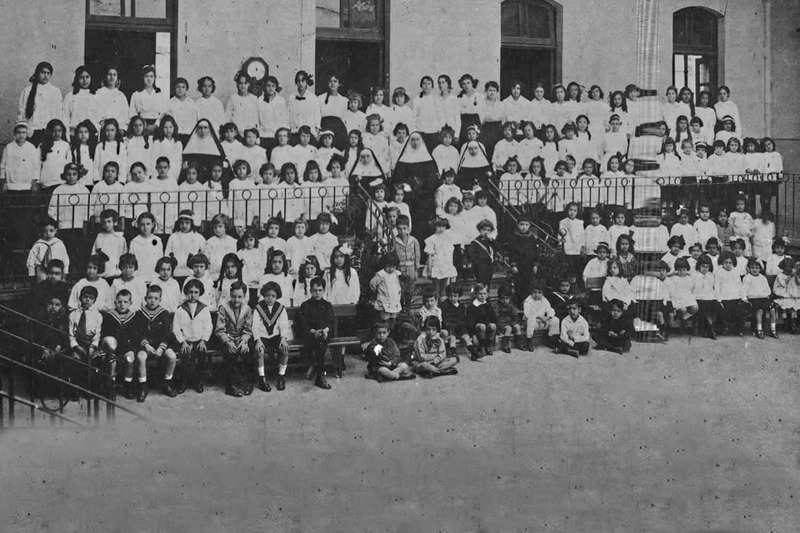 Colegio San José in Monterrey did not suffer any disruption of classes or confiscation of property, however, and became a refuge for Sisters fleeing more troubled areas. 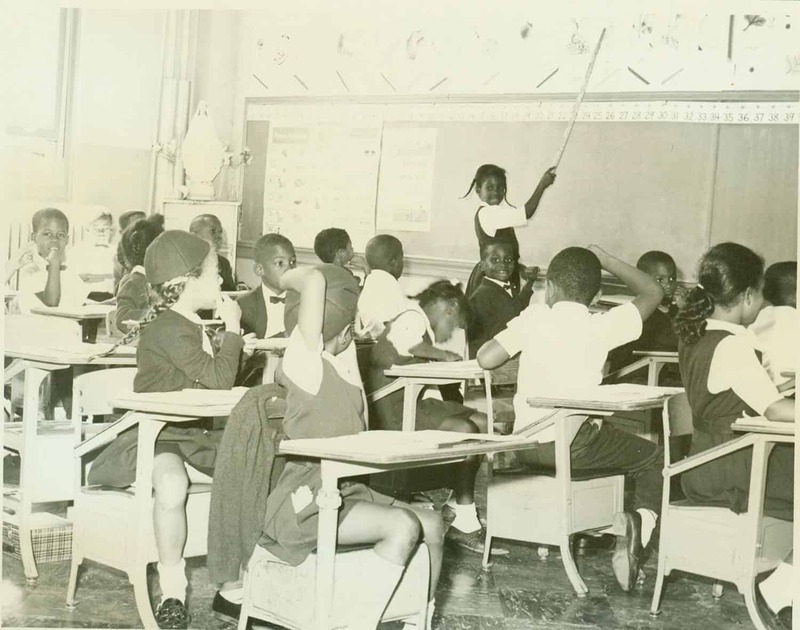 The Sisters opened several schools in the Midwest in the early decades of the 20th century, including those in Jefferson City, Taos, Old Mines, and St. Louis, Missouri, and in Cicero (Chicago), Illinois. Classroom, St. Francis of Rome, Cicero, 1939. Catholic schools, responding to changing times, initiated integration of parochial schools long before it was mandated by the U.S. Supreme Court. Pictured is Blessed Sacrament School in St. Louis, Missouri, opened in 1914, and staffed by Incarnate Word Sisters until 1974. Immaculate Conception School in Jefferson City, Missouri, celebrated its 100th anniversary in 2012. The last Incarnate Word Sister to teach at the school, Sr. Josetta Eveler, retired from teaching that same year. 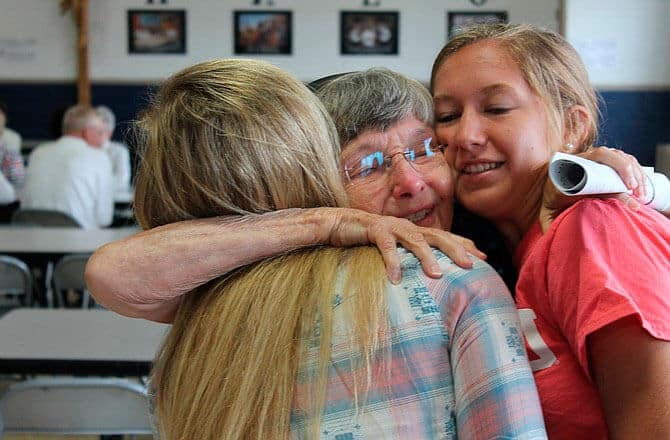 Pictured is Sr. Josetta saying goodbye to students. 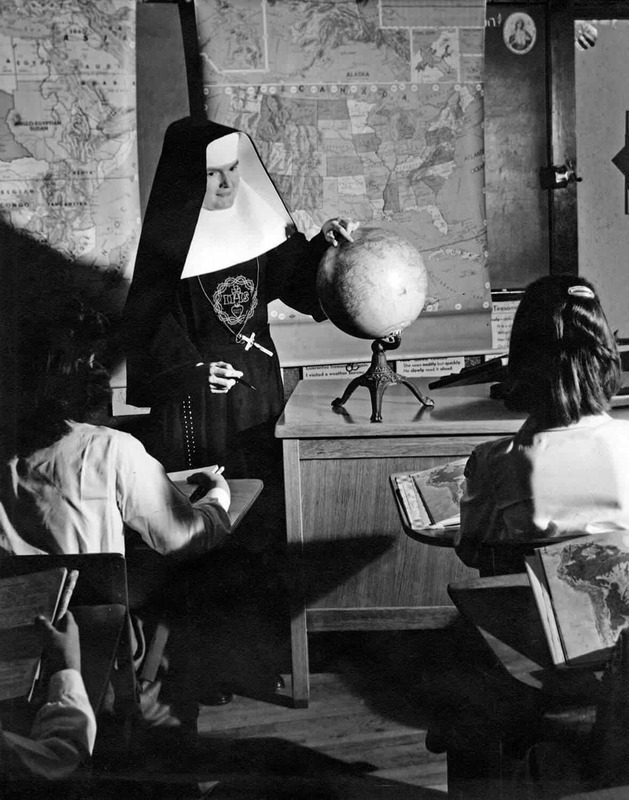 Incarnate Word Sisters also opened schools in New Orleans, including St. Francis de Sales School (1919), St. Catherine of Siena School (1926), and Archbishop Chappelle High School, opened in 1962. 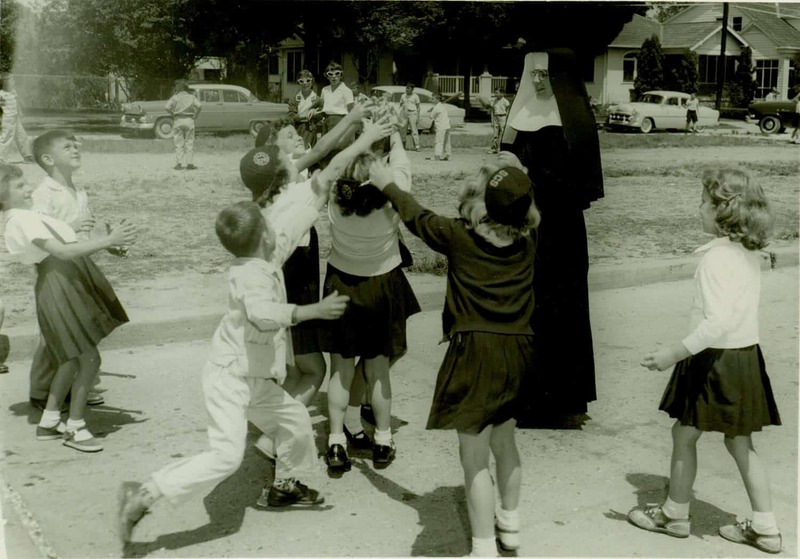 Pictured is Sr. Annella Conway at St. Catherine of Siena, 1959. 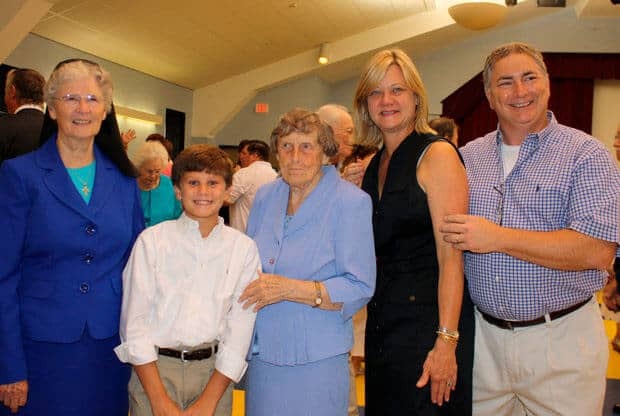 Sisters Marceline O’Connell and Imelda Moriarty were the last two Sisters at St. Catherine of Siena in New Orleans, teaching there 34 and 46 years, respectively. They were much loved by students, parents, and faculty. Pictured are Sr. Imelda (center) and Sr. Marceline with former students of the school, bidding them farewell in 2013. For half of the Incarnate Word University’s (College’s) history, faculty and administration were made up primarily of Sisters. Now, faculty and administration are primarily lay collaborators, carrying on the teaching mission of the Congregation. In 1951, Incarnate Word High School was built and blessed on the western edge of the Congregation’s property in San Antonio. Sister and students at Incarnate Word High School. 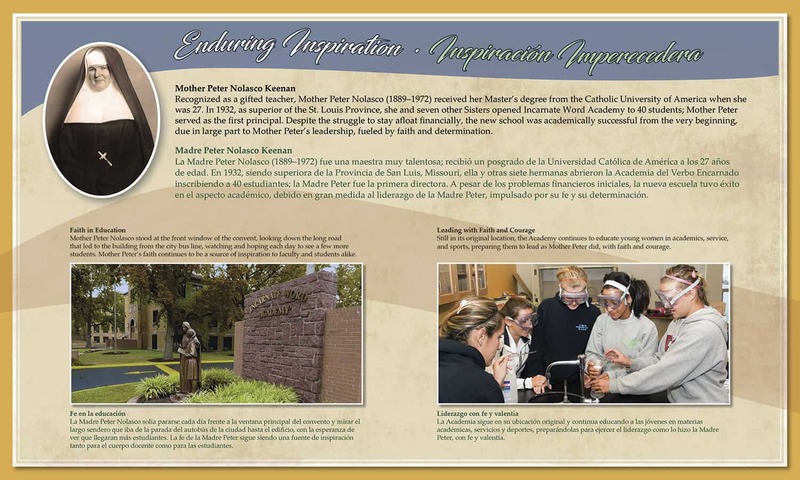 Incarnate Word High School continues to flourish as an institution for young women, educating them with the values of diversity, personal integrity, academic excellence, and stewardship of gifts. While Sisters in the United States aren’t serving in a traditional classroom, many serve as tutors. 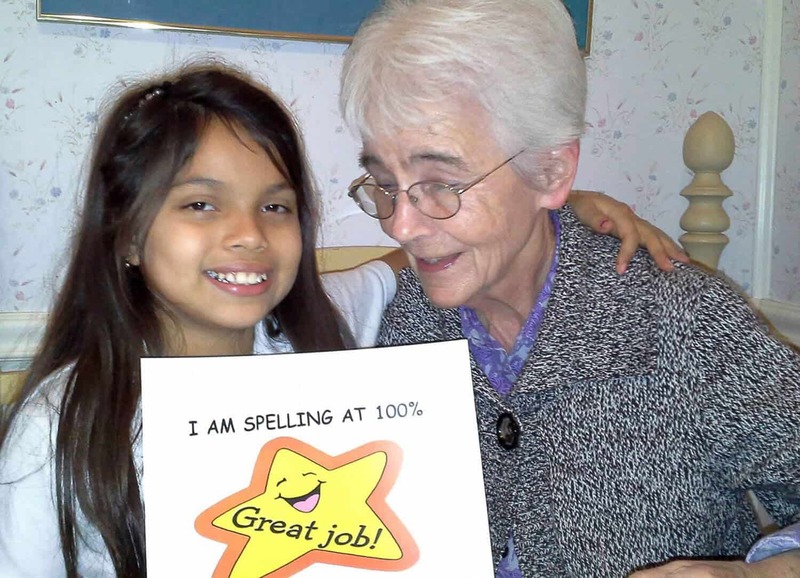 Pictured is Sr. Margaret Nugent, serving as a tutor at La Casita in San Antonio, a part of Visitation House ministries. 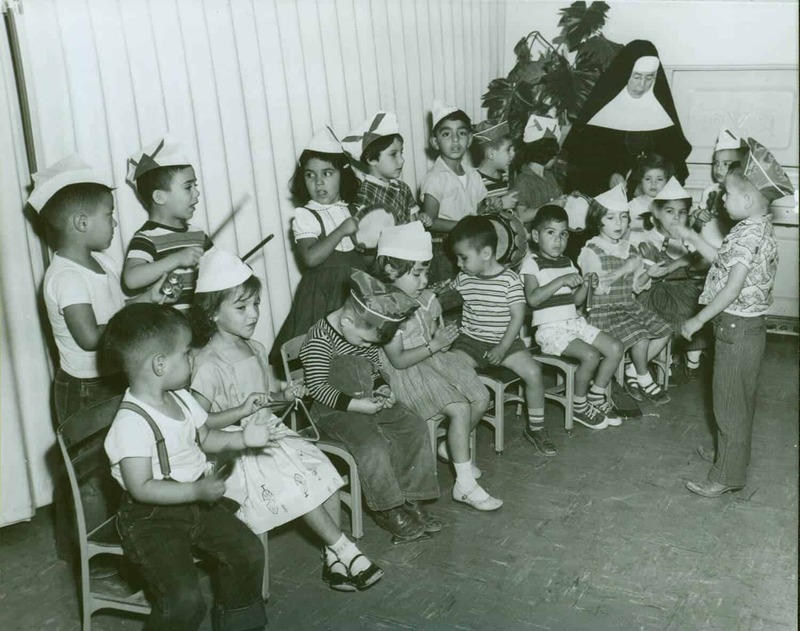 In the United States, Incarnate Word Sisters taught primarily in parish schools. 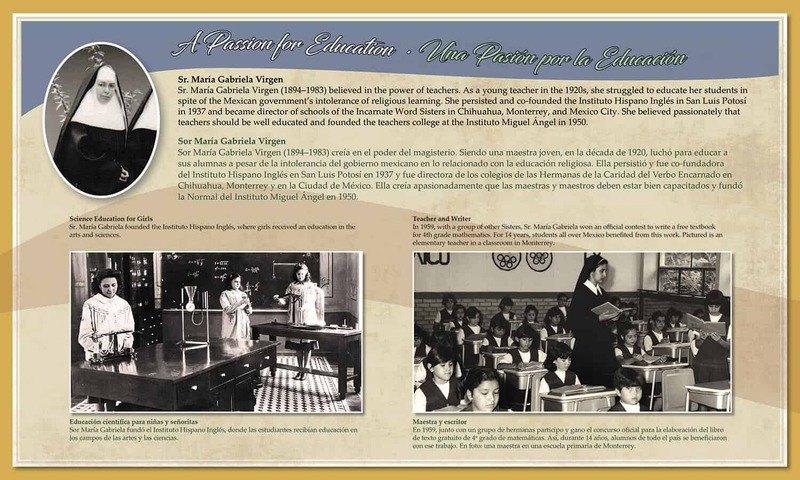 In Mexico, schools were opened and operated with Congregational resources and buildings built with Congregational funds. The CCVI school system in Mexico (Colegios CCVI) now includes eight institutions. 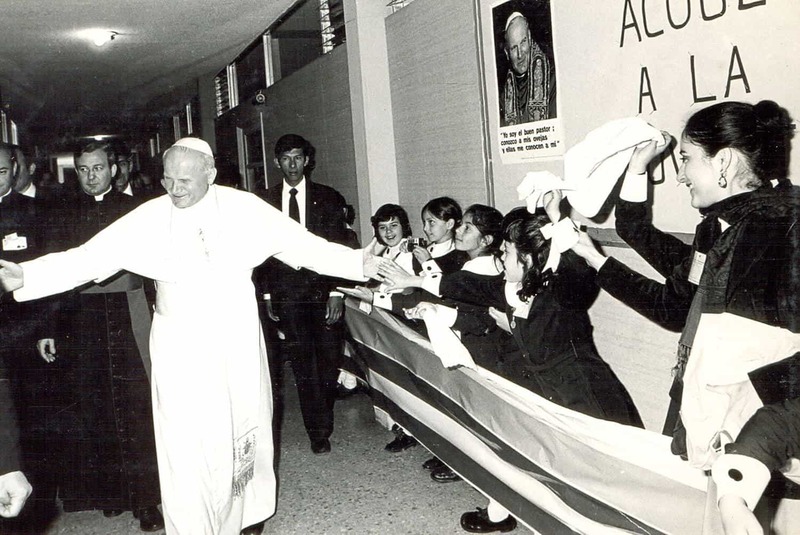 Pope John Paul II visited Miguel Ángel Florida during his visit to Mexico City in 1979. His helicopter landed in the schoolyard. Thousands filled the schoolyard at Miguel Ángel to greet Pope John Paul II. Sr. Neomi Hayes was General Superior of the Congregation (1978-1984), Provincial Superior (US) before that, and co-founded Visitation House and Women’s Global Connection. She began her ministry in the Congregation serving as an elementary school teacher. Sr. Margaret Patrice Slattery served as President of Incarnate Word College from 1972 to 1985. After her academic career, Sr. Margaret Patrice wrote the history of the Congregation, Promises to Keep, highlighting the growth of the hospital systems and schools in Mexico and the United States. 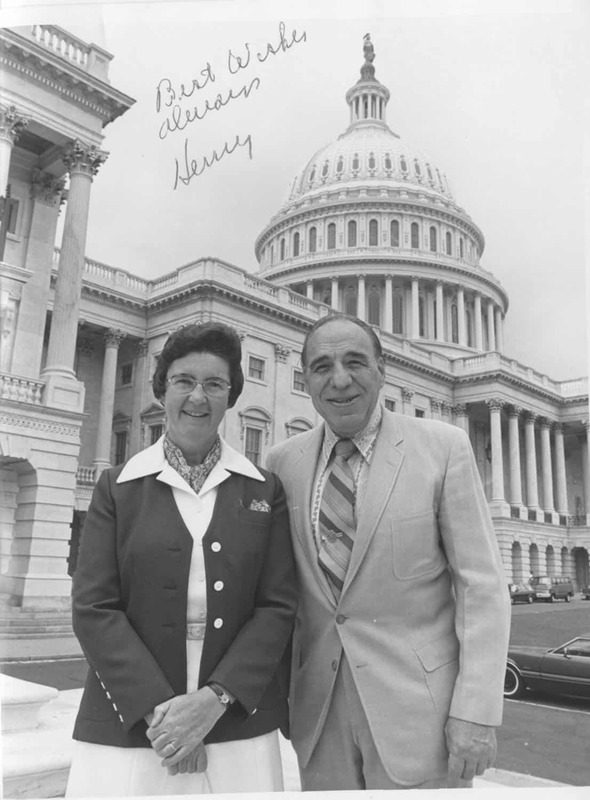 Pictured: Sr. Margaret Patrice with Henry B. Gonzales. Incarnate Word College became a university in 1996. The university graduates more Hispanic students than any other university in the United States. Many graduates are first-generation university students. Pictured: the 2015 graduating class of the School of Physical Therapy. 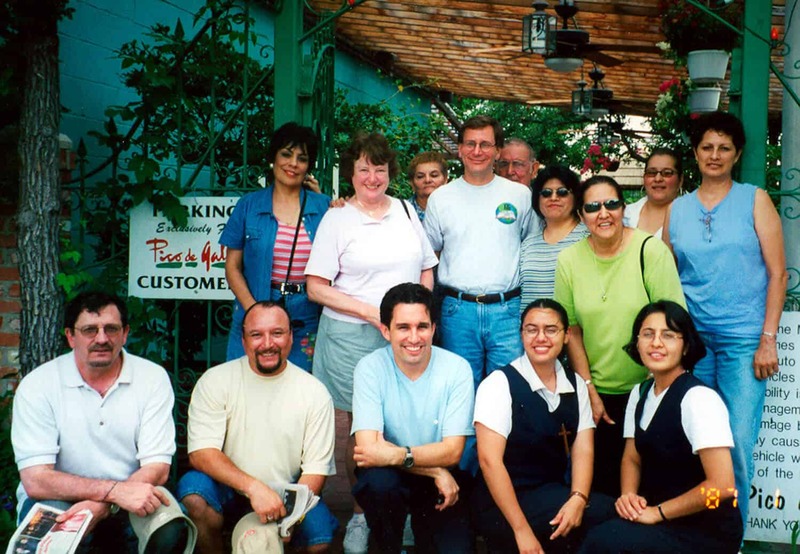 In 1968, Incarnate Word College established the “Pastoral Institute” to educate and form pastoral ministers for the Church. Sr. Eilish Ryan (pictured) served as director of the Institute for 35 years, retiring from that position in 2016. 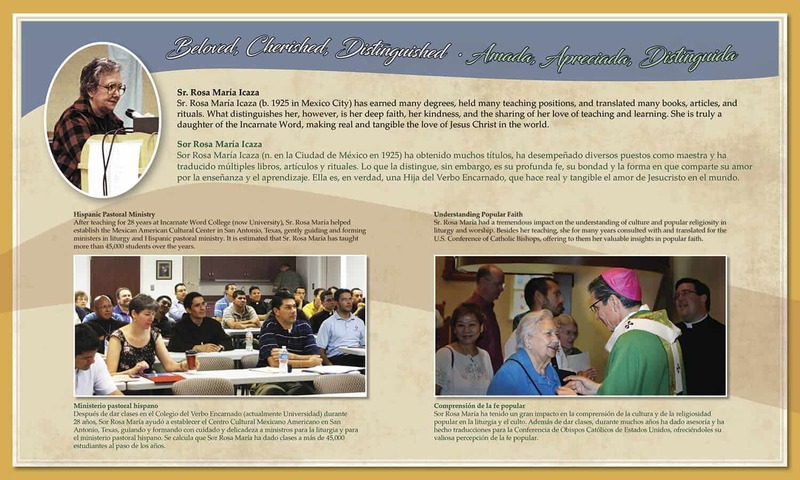 The University of the Incarnate Word now has two campuses in Mexico, Centro Universitaro México, in Mexico City, and Universidad Incarnate Word in Irapuato (Guanajuato). 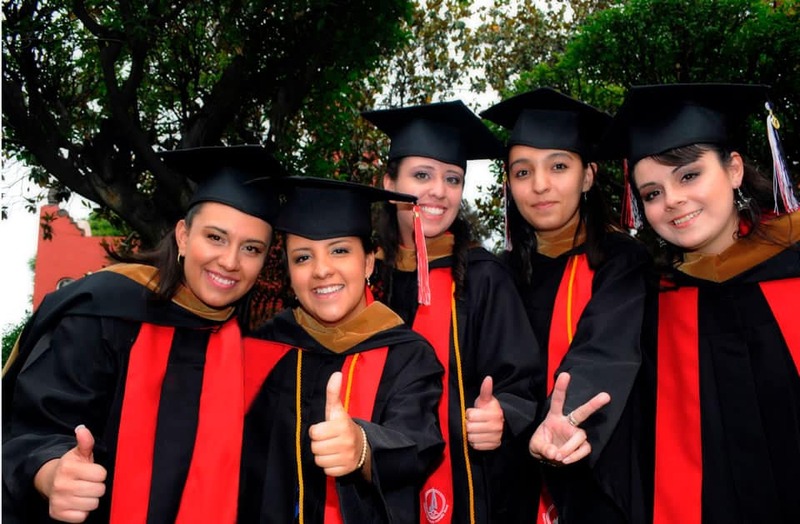 Photo of graduates in Mexico City, 2012. Disciplines that form the complete person have been and remain important parts of the curriculum of Incarnate Word schools, at every level. Sr. Anna Guadalupe Gamero and the Nursery Band at Guadalupe Center, San Antonio TX. Performing musicians at Miguel Angel, Mexico.